315 Films' debut feature, Moment of Truth, had its big premiere at the most fitting place of all — home. The film, which shot in Fort Myers and around Southwest Florida in recent years, earned a coveted Saturday night primetime slot at the Fort Myers Film Festival recently, and played to a large crowd hardly ready for the visceral experience the finished film had to offer. 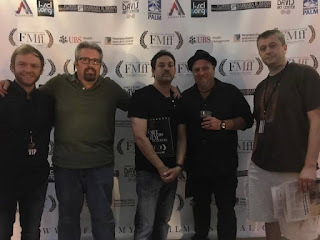 Present at the screening were a bevy of film personnel, including director Tim Ritter, actors Stu Alexander, Jennifer Keister, Shawn Genther and Dave LePage, as well as assistant director Ted Souppa and second assistant director Nick Twardus. Ritter, Alexander, Keister and Genther answered questions after the screening and gave a brief tribute to the film's late sound mixer and producer Jayson Martinez, who passed away in 2014. 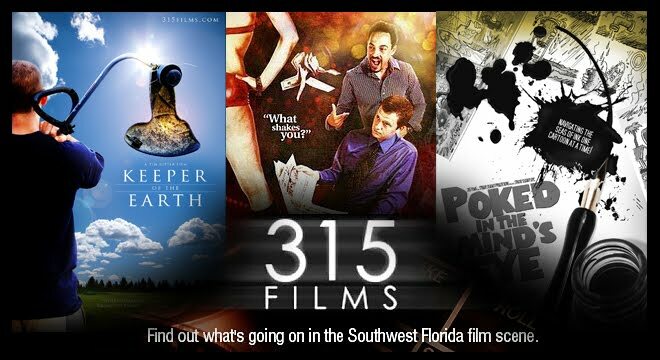 Leading up to the screening, Moment of Truth earned coverage in multiple outlets such as The News-Press and Arts SWFLA, who pointed out that the film was the first locally made narrative feature to play the established and popular festival in its seven-year run. 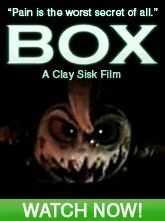 Next the film will play across town at the Fort Myers Beach Film Festival at 6 p.m. on Wednesday, April 26, the beginning of what is hopefully a long and healthy festival run for the film.